Kip Files became the 22nd captain of the Charles W. Morgan, a National Historic Landmark vessel, when he signed-on for the vessel’s 38th Voyage for the summer of 2014. A native of Maine, Files is the owner and captain of the 132-foot, three-masted schooner Victory Chimes out of Rockland. Files is the 22nd captain of the National Historic Landmark vessel. I am humbled and honored to be named the captain of the Charles W. Morgan for her 38th Voyage. For me, as a mariner who specializes in traditional sailing, it is a once-in-a-lifetime opportunity. Nothing like this has happened in my lifetime, and nothing like it will happen again. Our most important goal is to achieve a safe voyage for the ship and all who sail on her. The Charles W. Morgan is an irreplaceable artifact of America’s maritime heritage and her well-being is paramount in whatever we do. Our operating orders have been developed with that priority, and we will have a tug, a RIB (rigid inflatable boat), and the Museum’s Eastern-rig dragger Roann standing by at all times when under way to offer assistance if needed. A typical sailing day will involve being towed out of and into port—just as the Morgan would have been during her whaling career. We will sail as much as possible, but at the end of the day, the ship needs to be safely berthed in the next port-of-call, so some additional towing will be likely. The Morgan hasn’t sailed in 90-some-odd years and there’s nobody around who can tell us how she sailed back in the day. The rig is not unfamiliar to me and the hull is not unfamiliar to me, but each vessel is unique. So the biggest challenge I see is figuring out how she maneuvers under certain sail configurations and seeing how she handles in different conditions. I’ve seen her out of the water and judging from her lines, I expect she will sail better than we think she will. We are fortunate in this day and age that there are a lot of mariners with experience sailing traditional square-rigged vessels. When I started in this business in the 1970s, there just weren’t that many people with the knowledge and skill in the United States. That has changed dramatically and we have assembled a very talented crew to be responsible for the ship during her voyage. One of the questions I am often asked is whether the Morgan will have an engine installed. She will not, as she has never had one. My own vessel, the three-masted schooner Victory Chimes, has no engine, so I am familiar with the constraints. Obviously, it limits your maneuverability and how you approach certain situations. But you get used to it; there are certain things you can and cannot do. One of the key things is you do not have that ability to stop: You can’t start the engine and throw her in reverse. So you have to figure out how you are going to do that in time, and that is true for every part of the ship’s operation. Just being part of this adventure is hugely exciting for me. The Morgan represents a largely forgotten part of our history and we are going to tell that story in an amazing way for a new generation. I am thrilled to be a link in the chain of this historic vessel’s story, and to be able to take her back out to sea to show everyone what it was like to sail on her in the 19th century. So let’s hope for fair winds and good weather! 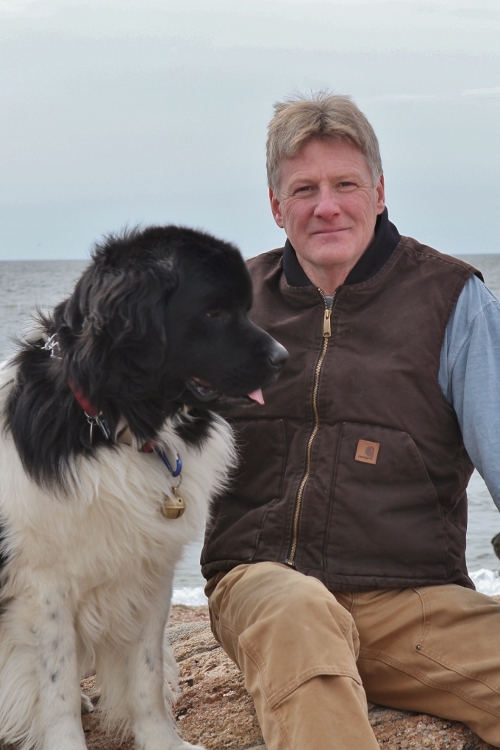 Editor’s Note: This article was previously featured in the spring 2014 issue of Mystic Seaport Magazine. Sam Sikkema was the chief mate for the Morgan‘s 38th Voyage. A sailor of small boats since he was 5 years old, Sikkema sailed profesionally on square-riggers for 10 years before the 38th Voyage. Just prior, he signed-off from the Norwegian ship Sørlandet on a sail-training cruise that took the vessel to Southern Europe, Africa, and the Caribbean. He also sailed on the Niagara, Bounty, and Picton Castle. Sikkema is a native of South Haven, Michigan, and at present makes his home in Leander, Texas, when he is not at sea. He holds a 1,600 Gross Ton ocean master license. 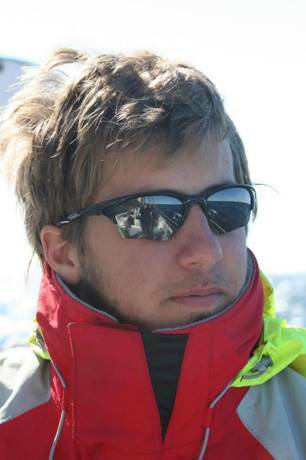 Sean Bercaw was the second mate for the Morgan‘s 38th Voyage. 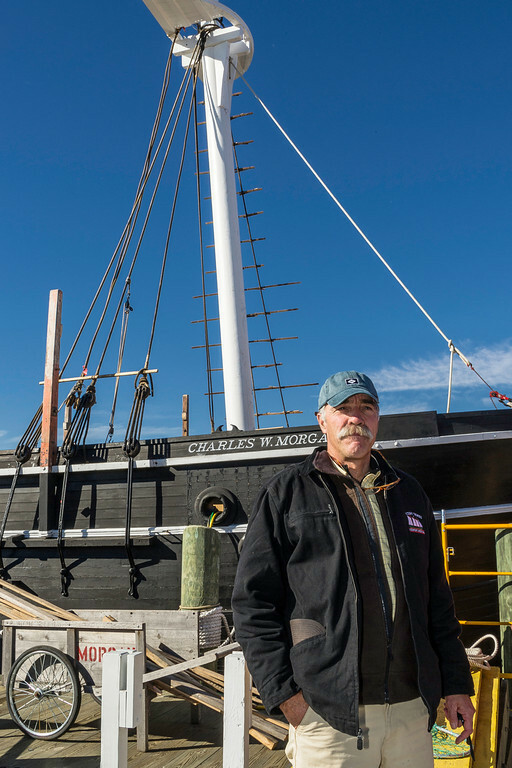 Bercaw has a long history with the Morgan and Mystic Seaport, dating back 30 years to his time on the Museum’s Special Demonstration Squad. Since then, he sailed several times aboard Elissa, and worked for Sea Education Association (SEA) for many years as master of the Corwith Cramer, Westward, and Robert C. Seamans. He also worked as mate, engineer, and master aboard a host of other vessels. Bercaw spent considerable time in whaleboats as part of the Demonstration Squad, racing in New Bedford and working with other rowing organizations. He holds a 1,600-ton Ocean Master license. Roxanne “Rocky” Hadler was the third mate for the Morgan‘s 38th Voyage. Hadler started sailing aboard Elissa and then went on to work aboard Niagara, Kalmar Nyckel, Bounty, and Sail Education Association vessels including Corwith Cramer and Robert C. Seamans, among others. She has spent considerable time aboard traditional square-rigged vessels and holds a 500-ton Ocean Master license. DiFrancesco grew up spending summers in Connecticut on the Niantic River sailing small craft and racing 420s throughout high school. After graduation, he worked in the commercial oyster industry in Long Island Sound. His mechanical aptitude and curiosity lead to a decades-long career in industrial maintenance and generator repair. In his time off the water, DiFrancesco is a professional ski patroller. During the summer, he works in Emergency Services as a wrecker operator at the historic Lime Rock Park in Lakeville, Connecticut. 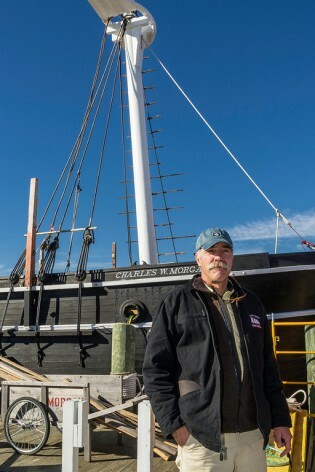 DiFrancesco and his family have been lifelong visitors to Mystic Seaport and watched the restoration of the Charles W. Morgan. From Erie, Pennsylvania, Dexter started sailing as a trainee on the U.S. Brig Niagara in 2010 and became a member of the ship’s professional crew in 2012. 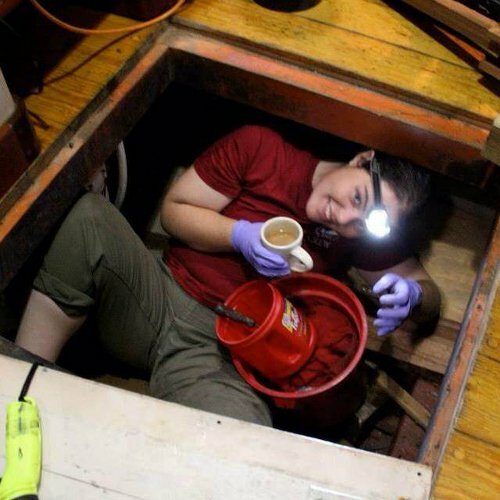 She graduated from Rochester Institute of Technology in 2013 and has been sailing full-time since. Dexter has sailed on all five Great Lakes and the Gulf. She holds an Able Bodied Seamen document. Foretek has been sailing traditional ships since 2003 and has sailed the Gulf Coast, Atlantic Coast, Pacific Coast, and the Great Lakes. She has a B.S. in Marine Biology from the College of Charleston and also attended the Williams-Mystic Maritime Studies Program at Mystic Seaport. She enjoys surfing and “likes to climb everything.” Foretek holds a 200-ton Near Coastal Master license. Gralnik is from Lexington, Massachusetts, and just prior to the 38th Voyage graduated from Maine Maritime Academy, where he majored in Vessel Operation and Technology. He has been sailing tall ships for nearly 10 years and has sailed all of the Great Lakes. Gralnik holds a 500-ton Near Coastal Mate license. 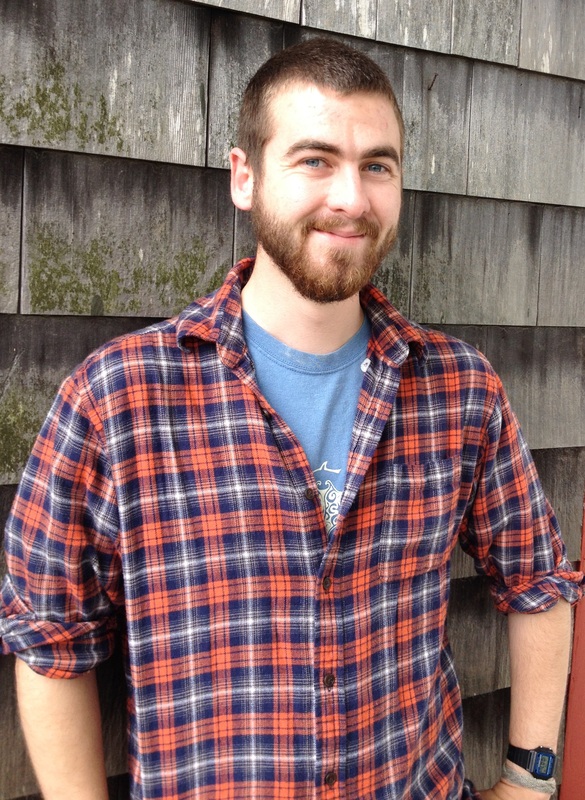 Loftus is from East Falmouth, Massachusetts, and received a B.S. in Biology from Loyola University Maryland. He has been on the water most of his life, as his family started taking him sailing when he was just five months-old. Loftus has been sailing tall ships for three years and has sailed the Pacific, Atlantic, and Gulf Coasts. He holds a 200-ton Near Coastal Mate AB Unlimited license. A native of New Fairfield, Connecticut, Mancinelli has a B.S. in Chemistry and graduated in summer 2014 from the Massachusetts Maritime Academy with a M.S. in Emergency Management. She started sailing in 1994 on USCGC Eagle and has circumnavigated South America twice, crossing the Antarctic Circle and transiting the Panama Canal. She holds a 3rd Mate Unlimited and 500 gross ton Master Oceans license. 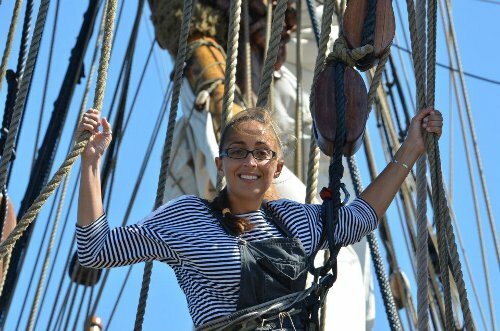 Originally from Alaska and now hailing from Lincolnville, Maine, Patterson began sailing traditionally rigged vessels in 2003 at the South Street Seaport Museum aboard the schooners Pioneer and Lettie G. Howard. She has sailed schooners all over the East Coast, Lake Michigan, and the Bahamas, and also occasionally fills-in for the Maine Windjammer Fleet. Patterson has spent the last few years rigging and painting at Rockport Marine and O’Donovan and Dole Traditional Wooden Boatworks in Maine. She holds a 100 gross ton Master license. A native of Lake Peekskille, New York, Roche graduated from the University of Rhode Island with a B.S. in Marine Affairs. He has worked as a researcher in a marine molecular ecology lab studying phytoplankton, and was most recently employed as a rigger aboard the Oliver Hazard Perry. Roche has been sailing tall ships since 2011 and has sailed aboard the Robert C. Seamans, Corwith Cramer, Quinnipiack, and the Mystic Whaler. A native of Long Beach, California, Sleeper started sailing in 1997 with the Los Angeles Maritime Institute. She worked as a professional tall ship sailor for seven years before the 38th Voyage, and has sailed 11 tall ships – all square-rigged except for one. 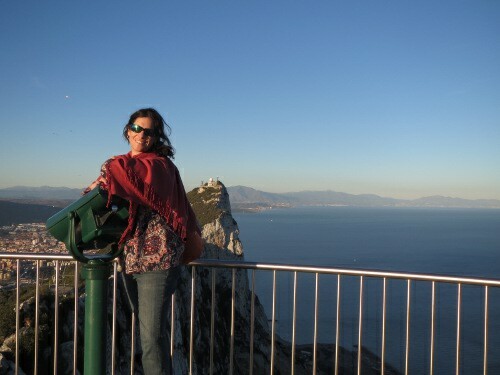 She has crossed the Atlantic and the equator twice. Most recently, Sleeper worked as a rigger for the Charles W. Morgan restoration the winter before the 38th Voyage. She has a B.A. in Psychology from Whittier College and holds a 200 ton Near Coastal Master license.